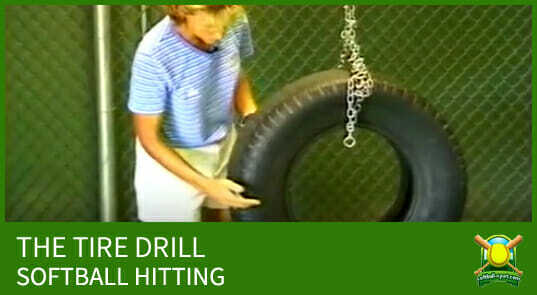 Coming up with new ideas for softball practice drills can be challenging. 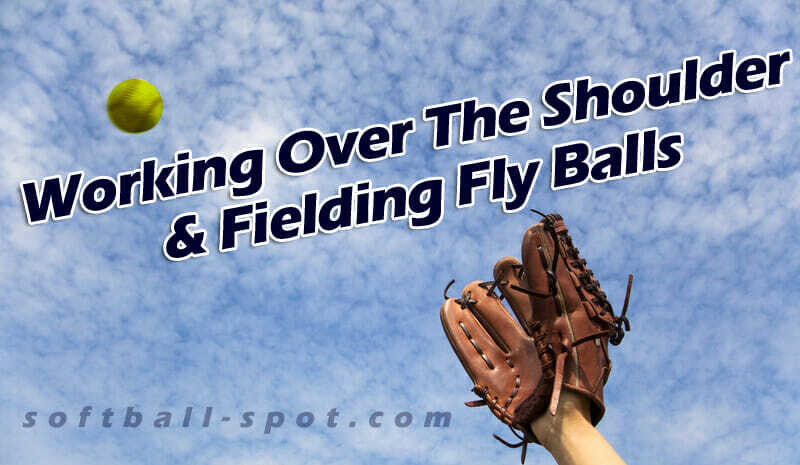 Here are two drills that work well with younger players, especially ones who are have trouble with catching pop-ups. 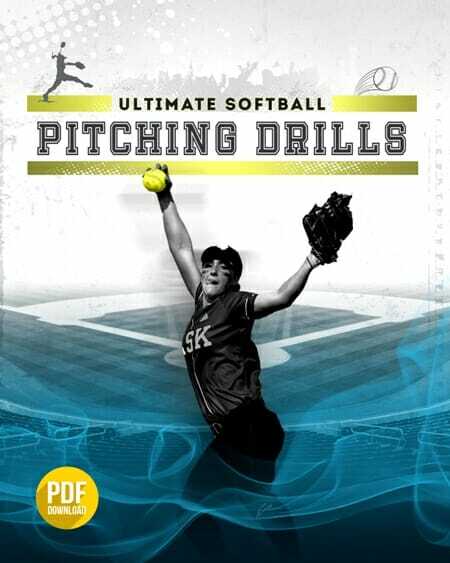 Here is a drill that I use in practice with the 6-8 year olds. Kids at this age have a hard time with depth perception of catching pop ups. One way that I found to help them is with a tennis racket and a tennis ball. I line the kids up, and one at a time. I hit sky rocketing pop fly’s with the tennis racket. Since a tennis ball moves all about more so than a softball the kids have to move to get the ball. The kids understand the concept better when teaching with the tennis ball, and find it to be extremely fun plus I can hit the tennis ball much higher than a softball. 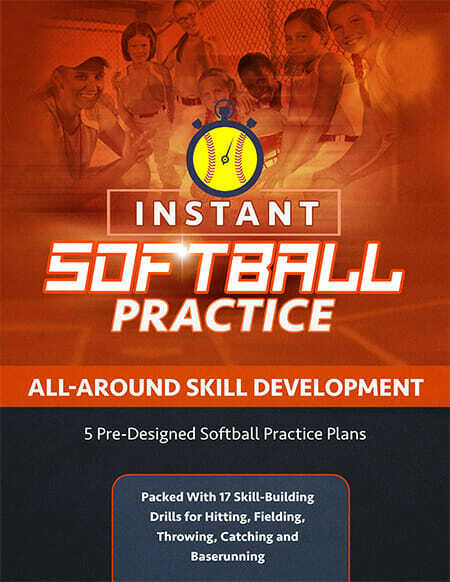 The kids start to understand the concept of getting under the ball and are not afraid of getting hit by a tennis ball as well; which in turn gets them over their fear of being hit by a softball on a popup. I am coaching young kids 9U and with kids that never played before, I will buy them a racket ball. I will tell them to bounce the ball and catch the ball with their catching hand. Then throw the ball up in the air, bounce it off a wall, play with other kids in throwing etc. but using their catching hand. They don’t have to catch it but the ball has to touch their hand. DO NOT use a glove until the kid gets used to closing her hand when the ball hits her hand. 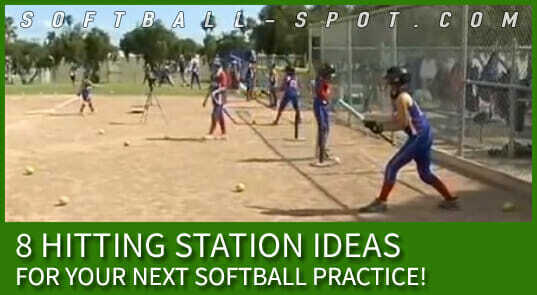 8 Hitting Station Ideas For Your Next Softball Practice! 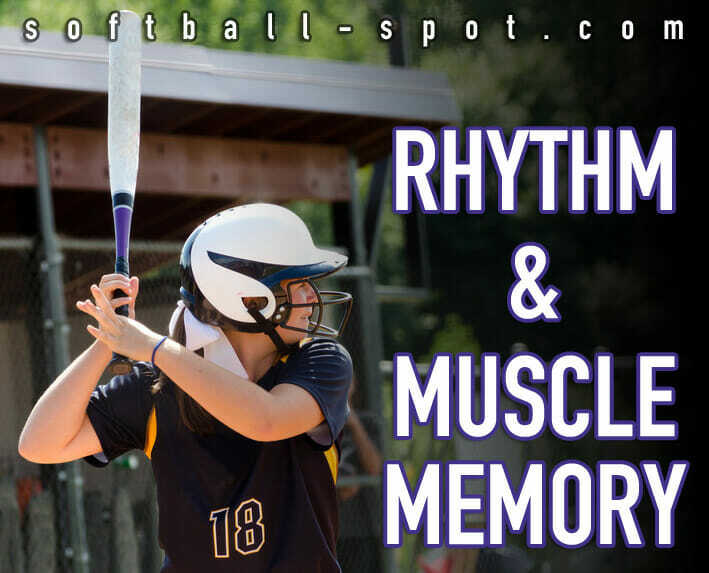 © Softball Spot. All Rights Reserved.